Hi everyone! I don’t usually post on a Sunday but today I’ve got something a little special. 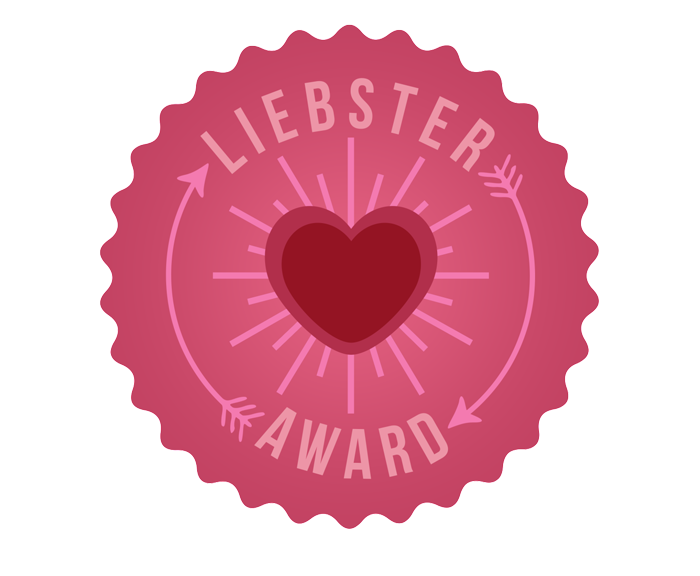 I was completely surprised to discover that the lovely Jessica from Jessica’s Journal has nominated me for the Liebster Award. Thank you so much again, I really appreciate it and think this is such a great idea as you get to discover new blogs out there an learn a little bit about the people behind the blogs. Since I only started writing this blog not even a month ago it’s such a pleasure to realise that people out there are actually reading about what I have to say (amazing). • You have to link back to the person that nominated you. • Write 11 facts about yourself. • You must answer all 11 questions given to you. • After completing these questions, you must nominate 11 bloggers with fewer than 200 followers and give them 11 questions of your choice. • You must not nominate the person who nominated you. • You must let your nominees know that they have been nominated and provide a link for them to post so they can learn about it. I am a trained barista but don’t actually like the taste of coffee, I might have the odd latte (with caramel syrup) if I really need the ‘wake me up’ but that’s on a very rare occasion. I am super shy when meeting new people and it might come across as if I’m being stuck up which I’m not at all. I love to sing and dance even if I’m not so great at it (when I was younger I would dream of being a pop star). I love watermelon and cherries in the summer (they’re one of my favourite fruits amongst many). I’ve worked as a waitress (on/off and mostly part-time) since around the age of 18/19. I grew up being raised by my mom, auntie & grandfather (I loved every minute of my childhood because of it). I was originally born in Romania but moved over to Ireland when I was 10 years old and now I consider Ireland my home (even though I’m now living in London). 4 years ago this summer I was in Thailand and travelled around its beautiful islands (it was bliss and I loved the whole trip). At times I spend hours on the Internet browsing through various websites and creating shopping baskets I rarely ever actually buy (usually because I don’t really need the stuff and/or can’t afford it). My favourite cuisines are definitely Italian and Mexican (you just can’t go wrong with these two). I have the worst sense of direction in the world. If I have to go anywhere I’ve never been before I need to Google map it a million times the night before to make sure I’ve got the right directions (even then there’s a chance I'll get it wrong). • What is your favourite Savoury dish and favourite Sweet dish? This is a tough one because I LOVE food. My favourite savoury dish would have to be a creamy pasta dish such as carbonara (total indulgence). It’s so hard to pick just one sweet dish as I have a crazy sweet tooth but probably something with chocolate such as chocolate fudge cake. • What is your favourite TV series at the moment? It would have to be The Mindy Project (it’s on a season break at the moment). The show has me in stitches and I just adore Mindy Kaling. • If you could live anywhere in the world, where would you live? At the moment I’m really enjoying London since the big move but I also like the idea of Australia (although I would be too far away from family). • If you could own a beauty brand, what would you call it? (It can be anything from lips to foundation etc..) I’m terrible at coming up with name but maybe Adore?! Doesn’t sound great at all but it was the first thing that came to my head. • How long have you been blogging for and what do you love about it? (2 questions in one, shhh) Sneaky there Jessica hehe. I’ve been blogging for almost a month now, which is not very long at all. Blogging has given me something to do since moving to London and a way to connect with other beauty bloggers. So far I’m really enjoying it. • Do you have any hidden/funny talents? I’m afraid I’m quite boring and don’t have any hidden talents. • What are you most looking forward to this summer? I’ve got nothing planned for the rest of the summer I’m afraid but so far I’m loving this weather and exploring London. • If you were stuck on a desert island, what would be the 5 things you take with you? This doesn’t mention if it’s beauty related so I’m going to presume it isn’t?! I would bring a solar powered iPhone (I know it doesn’t exist but shhh), water, sunscreen, Ellie & David (I also know they aren’t things but I couldn’t imagine life without them). • What are your plans for the future? My plans are still a little burry as I’m only now figuring out my life but I hope that I can be a great mommy to my little girl, a loving wife to David, a makeup artist and a beauty blogger. • What is the one thing that makes you happy? This one is super easy, my family, without them I would be lost. Ellie and David bring me joy every day and I love being in their lives and having them in mine. Of course my extended family including David’s are also really important to me (each and every single person means a lot to me). What is a recent movie you went to see and loved? What is your current beauty product that you just can’t live without? What is your favourite social network site and why? How are you finding the whole blogging experience? If you could choose to have one superpower, what would it be? Who is an inspiration to you in your life? Can you name one place in the world you would love to visit? Thank you so much Alina - i've just uploaded my reply! You're a star for nominating me, had a great time doing this! You're very welcome - I'm glad you enjoyed it! I couldn't agree more with you on the pasta dish and chocolate fudge cake - So good! Just discovered you and I LOVE your blog! I'm fairly new to the blogging world as well. How much fun to be able to connect with such amazing people, right? P.S. I adore your favorite quote! haha it's a good one. And Yay for new blogging friends! Hi lovely! Thank you so much for your lovely comment (I appreciate it a ton)! Exactly thats one of my favourite things about blogging being able to connect with other like minded people! I'm looking forward to blogger meet ups in the future (how much fun will that be)… I'm just gonna have a look at your blog now :D!